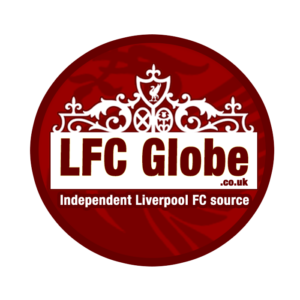 Home LFC News Are Liverpool missing the ‘brain’ behind their fearsome attack? Liverpool are yet to truly click this season and some are speculating whether the loss of one man is to blame. Jurgen Klopp’s side scored 135 goals in all competitions last season, with 18 different goal scorers netting for the Reds in all competitions. The attacking trio of Mohamed Salah, Roberto Firmino and Sadio Mane were responsible for over a third of the goals scored, firing the Reds to a top four place and spectacularly reaching the Champions League final. Whilst the Reds sit in joint first place in the Premier League with this weekend’s top-of-the-table clash against Manchester City to come, supporters know that things haven’t looked quite right come the start of this season. The last three displays against Chelsea in the League Cup and Premier League, alongside their Champions League away defeat to Napoli have highlighted the Reds’ deficiencies. Whilst they are still competing at the top end of the table, it seems somewhat churlish to berate their performances. However, supporters have surely noticed the difference from the last campaign. The attacking triumphant that opened up some of Europe’s best defences with ease last season have struggled to combine. There has been a visible disconnect between midfield and attack so far, with the rhythm and fluency seen last season being barely apparent. To some extent, the positive results from this season so far have covered up the fact that they have failed to combine well this season. Winning – whilst not playing well – is often cited as a trait of champions, but it can also be a cause of future concern. Whilst some could blame their poor finishing and decision making, there is a case to be made that the Reds are missing one man who has been prevalent since Klopp took over at Anfield three years ago. Zeljko Buvac: Klopp’s trusted right-hand man of 17 years who he described as the ‘brain’ behind his system and who left Anfield at the end of April due to ‘personal reasons’. The club originally dismissed reports that the Bosnian-Serb assistant manager had permanently quit – however he has been absent ever since and a return no longer looks on the cards. The experienced coach has shared a close bond with Klopp ever since they were teammates at Mainz over twenty years ago. In 2001, Klopp became manager of Mainz and one of his first acts was to hand-pick Buvac to be his assistant. It was the start of a successful double act which saw Mainz being promoted to the Bundesliga and earning European qualification. Colin Bell, who worked at Mainz alongside Klopp and Buvac, told the Times in December 2016: “Zeljko reads the game very well, he has great footballing ideas and is always looking at finding new ways on how to play and train. They moved to Borussia Dortmund in 2008, where they further refined their ideas and style of play. Indeed, Buvac was the co-architect of Dortmund’s impressive attacking play and intelligent movement. Since arriving at Anfield in 2015, Buvac has struck up a close relationship with the players – often seen engaging in deep discussions with the squad on the training ground, instilling his and Klopp’s ideas. The Reds’ attack was described as being ‘poetry in motion’ last season, however this season their movement hasn’t been massively impressive, neither has it been intelligent. And some believe the real reason behind Liverpool’s inferior attacking prowess and disconnect between midfield and attack is down to Buvac’s missing presence. Do these stats have meaning you think or simply just a coincidence? Was Buvac the one who worked on the attacking patterns of play? The front three seem to have gone from best in Europe to kinda ordinary since he left town. The attack died with Buvac it seems. Any fans willing to do a petition to get Buvac back in his rightful place? The brain is missing. I’m seeing people mention Zeljko Buvac and you know, I wonder now if his exit had impacted our effectiveness in the final third. Granted, it’s easy to say that now. On reflection of recent performances I’m wondering if Klopp is missing the “brain” Buvac more than he thought he would. Something clearly not right about us at the moment. Hopefully it’s just a blip! Whilst things could yet improve, it has to be said that the team has not clicked offensively all season, relative to its capabilities. Is Buvac’s departure one of the reasons why they haven’t really taken off yet this season? The stats would suggest there is an element of truth to this theory. With Buvac, the Reds were averaging 2.44 goals a game, compared to 1.58 without. He was an integral part of Klopp’s team throughout his managerial career, so it would be foolish to suggest that his absence has had no bearing on the side. As Bell said, Buvac was responsible for arranging specific training drills to get the attack at Mainz to work together efficiently and clinically. Klopp could be missing his input and thoughts in preparation for games, or it could simply be that the Reds are playing themselves into form at the start of this season and things will gradually improve.